Forward-thinking trumpeter and composer, Jon Crowley was born in Malvern PA, a suburb of Philadelphia. He began studying the trumpet at age six with Elin Frazier, a student of Carmine Caruso. While in high school he developed an interest in Jazz and began attending local jam sessions and sitting in with various musicians around Philadelphia. Jon spent the next four years attending Muhlenberg College, studying Jazz with Charles Fambrough and John Swana. After Graduating with his B.A. in Music, Jon went straight to New York City, where he attended NYU, graduating in the Spring of '07; receiving his Masters in Jazz Performance and Composition. While at NYU, Jon studied with Laurie Frink, Kenny Werner, Ralph Alessi, George Garzone, Brian Lynch, Joe Lovano, Rich Shemaria, Don Friedman and Dave Pietro. Jon has played with Charles Fambrough, John Scofield, Lenny Pickett, Chris Potter, Ralph Alessi, Lenny White, Joe Lovano, Mark Shim, and Don Friedman, and has performed around New York City at venues such as The BlueNote, Smoke, 55 Bar, Fat Cat and Lincoln center. Since graduating, he can be seen performing around New York City and the Northeast both as a sideman and with his own groups. 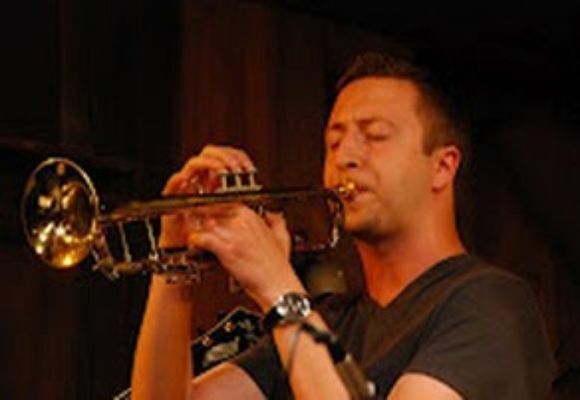 Jon released his first CD 'Connections' in the fall of 2009, which won the prestigious 'ASCAP 2010 Young Jazz Composers Award' for the title track. The follow-up 'At the Edge'(Lonely Crow Records 2011) sees Crowley combining the influence of Classical Minimalism and Indie-Rock with Jazz, and made several critics 'best of 2011' lists. Jon has also worked for the past year and a half at 'Jazz at Lincoln Center's Webop program, doing Jazz Education for young children.